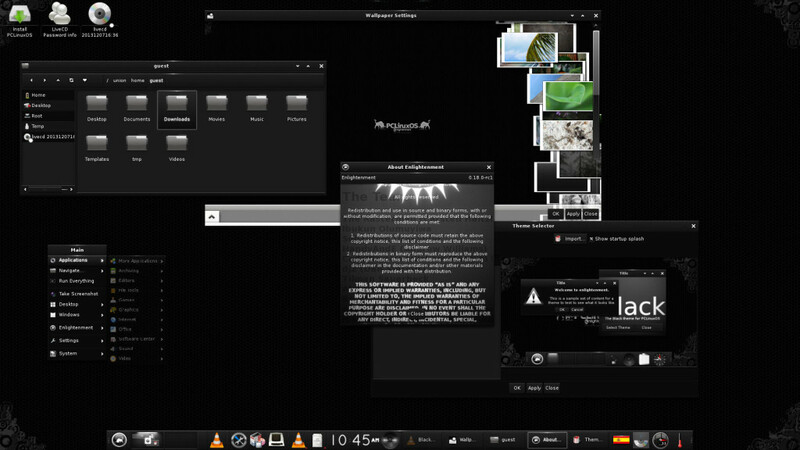 Enlightenment desktop environment 0.18 was finally released. It’s been exactly one year since the last major release of Enlightenment. According to the announcement, the compositing window manager is more stable than E17 and now has Wayland client support along with a new teamwork module. Enlightenment DR 0.18 also has a new music-control module, bluez4 BLuetooth module, an AppMenu DBus module, and a conf_comp module for controlling compositor settings. Making this annual Enlightenment update more exciting is also better systemd integration, the internal theme merged into Elementary, RandR and binding config domains have been split into separate files, and many file-manager improvements. Enlightenment’s file manager improvements for version 0.18 include UDisks2 support, more accurate directory listings, and other improvements. Enlightenment E18 will be available soon in the main rolling release distributions like Arch Linux, Sabayon, Debian Sid etc. I’ve installed this on Ubuntu 13.10 and it doesn’t seem to be fully compatible. I find myself clicking buttons like “applications” and nothing happening. And yes, i have uninstalled and re-installed and the problem still persists. The Appmenu module doesn’t seem to be included. Any way (short of compiling it) to get it? Apllication list seems have the problem with Composite. Switch to software composite solved the problem for me. Finally I’ve found in composition/advanced possibility to switch off composite only for menu. Any word on when (or if) this PPA will start having builds for Ubuntu 14.04 LTS (Trusty)? Package enlightenment is not available, but is referred to by another package. What do I need to do now please? E: The repository ‘http://ppa.launchpad.net/vase/ppa/ubuntu xenial Release’ does not have a Release file.